The course focuses on a strategic area where technology and methodology enable students to face essential questions at the interface between fundamental research and clinical and pre-clinical areas, through analytical and quantitative approaches. Please click below to view the presentation of the course. 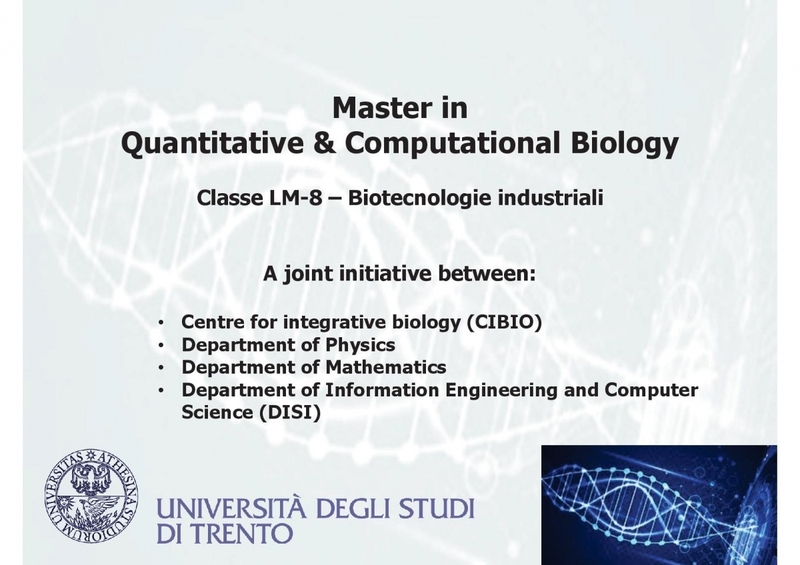 The course - entirely taught in English - is designed to capture the increasing need for researchers and experts able to transform the enormous amount of biological information ("big data") into knowledge and to gain quantitative insight into the behaviour of biological systems by means of bio-mathematical and bio-physical models. Key target areas include pharmacogenomics, biotechnology, food science, and precision medicine, which represent applied research fields where the growing availability of multidimensional data demands high interdisciplinarity.